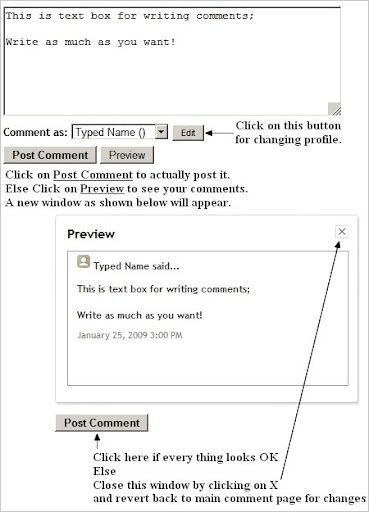 Some of my acquaintances who are not very well conversant with computers have asked me the procedure to write comments. For their benefit as well as for benefit of all novices I am explaining below the methodology which is specifically written for this travelogue but will generally be applicable to all Blogger (or blogspot) blogs. I am not a good teacher and I hope my explanation is understood by all. Edit Note: The procedure explained below is no longer valid for this blog but can be used in other blogger posts where the Comment field is embedded below the post. 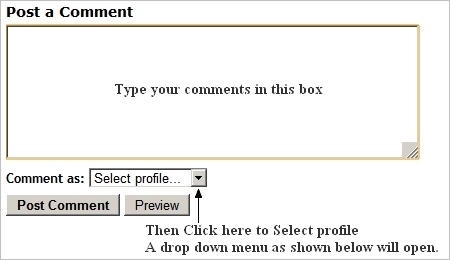 The post will expand to show the Comment Box as pictured below. 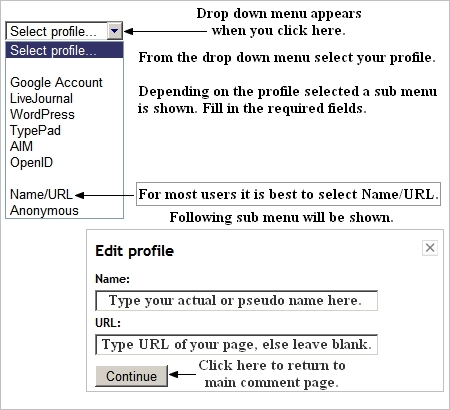 Now follow the steps as pictorially explained here-in-after. Thank you Sir for your comment on my coconuts.I have some contacts at Jorhat ,i will certainly let you know if i get some information about Morarji Desais plane crash sit. Excellent blog! And stunning pix... I prefer to travel for real, but this is an excellent second best for those days when I'm not on the road... Keep up the good work! The main credit for the stunning pics is to all those who have made these images available in Panoramio/Flickr and other web pages/portals etc.